We’re all too blessed to be stressed! So last night was our Winner Dinner and we had an absolute blast! 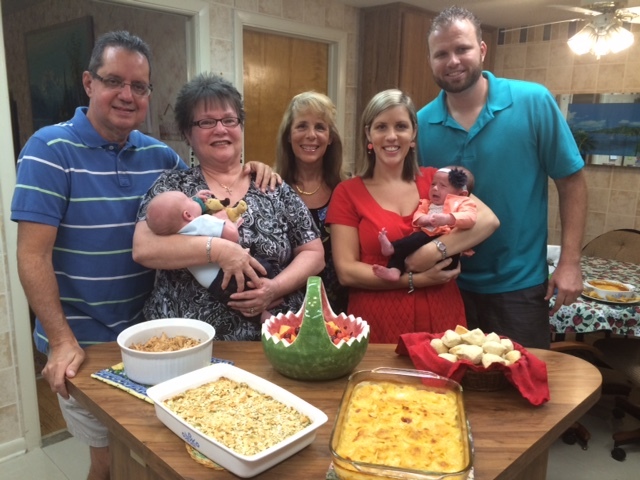 Congrats to grand prize winner Donna and her husband Ish (on far left in photo holding 3-week-old Baby Boy; I’m in the middle, and my daughter and son-in-law are on the right holding 5-week-old Baby Girl). As you may recall, a few months ago, we had an adoption fund-raising dinner for my daughter’s family combined with a drawing for 5 autographed copies of my upcoming Too Blessed to be Stressed Cookbook, which debuts Nov. 1. All the recipes for the fundraising meal were from the Too Blessed to be Cookbook – Baked Spaghetti, Parmesan Nuggets, and Mudbar Ecstasy were a huge hit! Some excited folks even called the next day begging for more. The grand prize winner (congrats, Donna!) received a home-cooked dinner with the author (moi!). 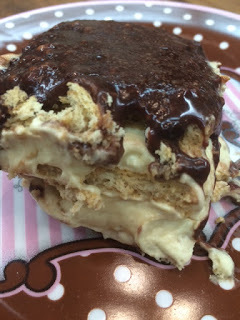 Once again, the menu consisted of recipes from the Too Blessed to be Stressed Cookbook – Teriyaki Pork, scalloped potatoes, Spinach-Broccoli Surprise, mixed fruit, and for dessert, none other than my ooey, gooey, Chocolate Eclair Cake. 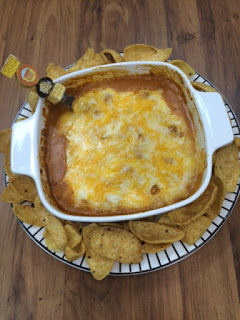 Oh, mustn’t forget the zesty Chili Dip with Frito Scoops we scarfed as an appetizer. 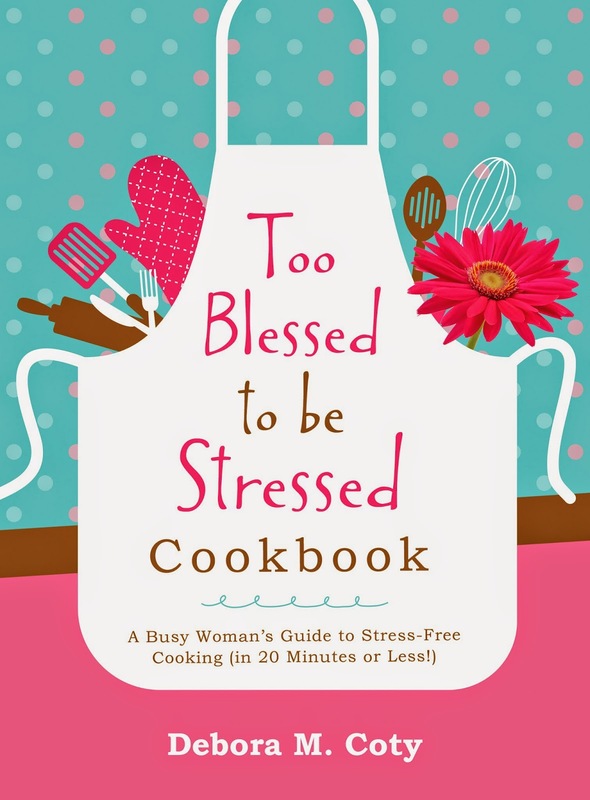 You know, it was hardly any trouble at all because every recipe in the Too Blessed to be Stressed Cookbook takes less than 20 minutes hands-on prep time. The hardest part was deciding which delicious dishes to serve.